This article was originally published in Pro Sound News Europe. You can read it here. It happens to me every year. Come August, work slows almost to a crawl. Suddenly, I’m in survival mode. I hate it, but it’s not always a thing born of sloth. This year, for example, I’ve been so busy focusing on future projects that short-term cash flow went way down on the list of priorities. Unfortunately, money is something that can’t be ignored for long. 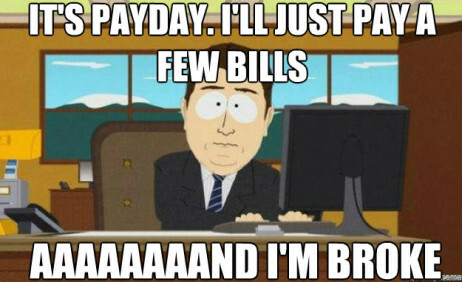 Unless you are ready to take on a major lifestyle shift, there are bills you have to pay. Here are seven great tips for dealing with short term cash flow problems. #1 – Plan for next year, today. If you look back at your calendar from the last few years, chances are good that you’ll find cycles of feast and famine. Don’t ignore the lesson! Build a healthy relationship with money by using those cycles to make a plan, then review it regularly. $2,800/month = My baseline survival income. $255/month = How much I need to save each month for the next 11 months to prepare for slow August. $3,055/month = My new baseline survival income. Create a new August Fund account and set up automatic monthly transfers of $255 from my checking account so that the money is saved before I can spend it. Or setup a savings goal using YNAB. #2 – Collect on outstanding invoices. No need to explain this. Go through your past invoices and confirm that they are all accounted for. 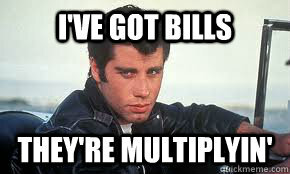 While you’re at it, check for any unbilled work. The last time I did this, I found $560 in outstanding invoices (whoops!). One required me to go around the client directly to their bookkeeper, with whom I have communicated in the past. Another required some tough love. I’ve only ever had to chase one client around the block, and that was because they sincerely thought they had already paid me and that I was crazy. The venue I was working with put a hold on her account and she eventually paid up. Turns out she had PayPalled the wrong person. Ah, technology. #3 – Phone a friend. Only in this case make sure the friend is a colleague or client. This isn’t begging, it’s a great opportunity to reconnect with existing clients and colleagues who you like working with. Give them your availability over the next month in case they have any last minute gigs they can refer you for. HOWEVER: Do not slide backwards into working with dud clients. When times get tough and you’re nervous about paying the rent, you might be tempted to reconnect with past clients you hated working with or who were in no way ideal. It’s not worth it. Instead of falling back out of fear, use your time to make new connections and ask for referrals from current clients. Doing work you hate will only demotivate you and lead to more of the same crap. #4 – Sell some equipment. This is low on the list because selling used gear might not be worth the time you put into it, but if you’ve been meaning to get rid of some stuff anyway, now is a great time to get on that. For example, I have an amazing Seventh Circle mic preamp that I built with my own two hands, but I hardly ever use it anymore. I would be much happier for it to find a better home. #5 – Brainstorm and take action. Write your intended outcome at the top of a piece of paper or Workflowy list. For example: Earn at least $2,800 by Aug 31. Quickly brainstorm as many possible projects or actions as you can. To get your creative muscle moving, set a big goal like fifty ideas. Having trouble? Ask a friend. They are often more objective and will suggest solutions you were afraid to consider. Review your list and choose the 20% (20% of 50 is 10) of your actions that are most likely to be successful. How do you choose? Use your best judgement from past experience and all of your current knowledge of the market. For each of those top projects, list all of the actions needed to complete it. Defining at least the first action will force clarity. Prioritize your list based on the projects that are most likely to deliver the fastest returns. Get to work. Avoid skipping the difficult and uncomfortable tasks; instead, use the motivation from your intended outcome to be bold. #6 – Tap into your emergency account. They call it savings for a reason. Avoid tapping your emergency fund until all other options have been exhausted. What’s that, you don’t have an emergency account? You don’t even know what one is? Don’t worry, I didn’t either until a year ago. Basically, an emergency account is a savings account where you have accrued funds to support yourself without income for 2-12 months. This is different from the “August Fund” account I mentioned in item 1 — you should contribute to your emergency fund every month in addition to your lean-month accounts. Start saving today with whatever you can afford (really, even $5 a month is better than $0 a month! ), but set a goal to start making enough so that you can fill that emergency account within the next 2 years. 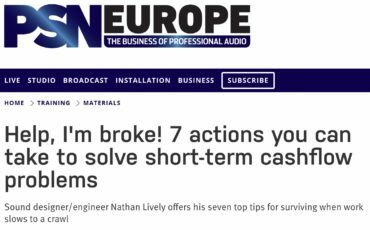 #7 – Communicate with your debtors. Landlords hate to be stiffed, largely because in many cases it is extremely difficult to force you to pay. If you ask them for leniency they will probably just say no. Instead, state your situation and your intended date to square up. Keeping them in the loop will avoid aggressive behavior. Once I received an aggressive Pay up or we’ll kick you out letter from my landlord in NYC, even though I’d paid. I called him up and it turned out that his secretary had accidentally attributed my payment to someone else and their system had automatically sent me the letter. Automated legal action. Scary. 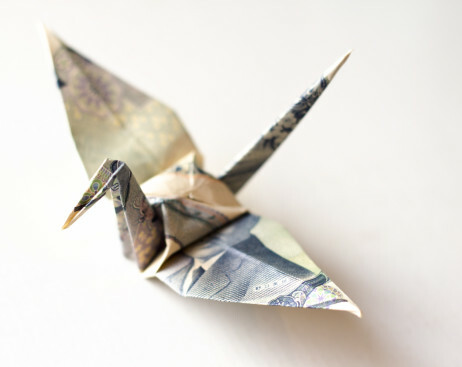 I hope this helps to relieve the pressure of your short-term cash flow issues. Remember, don’t panic! If you keep your head, you will often find a better solution than selling your soul. If you need help brainstorming ideas, email me.